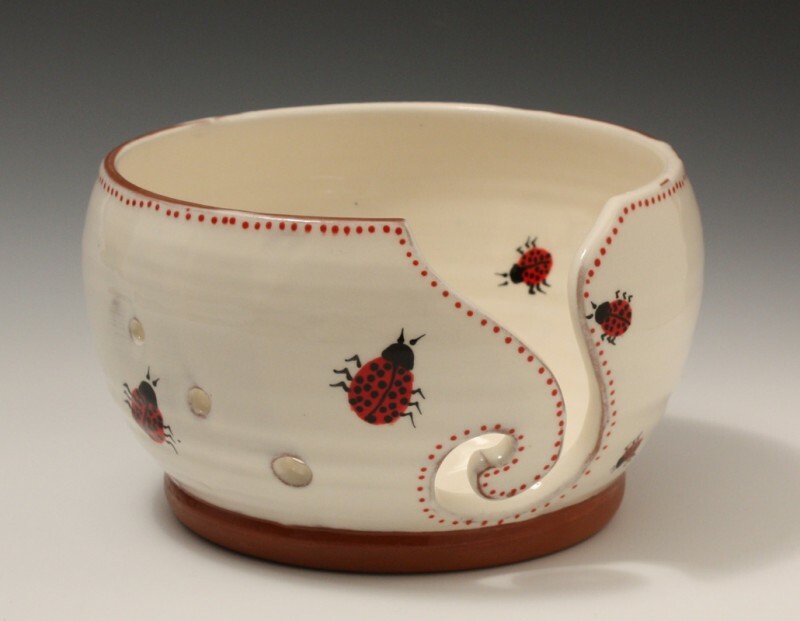 The ladybug decoration is a direct memorial to my aunt Linda Buggie who passed away in 2013. 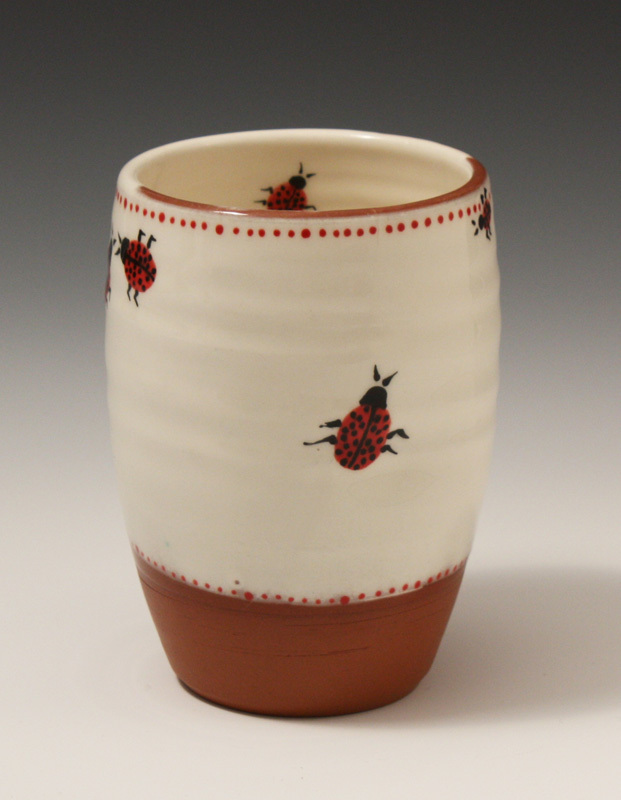 She enjoyed anything decorated with ladybugs and she was a big supporter of my pottery business. 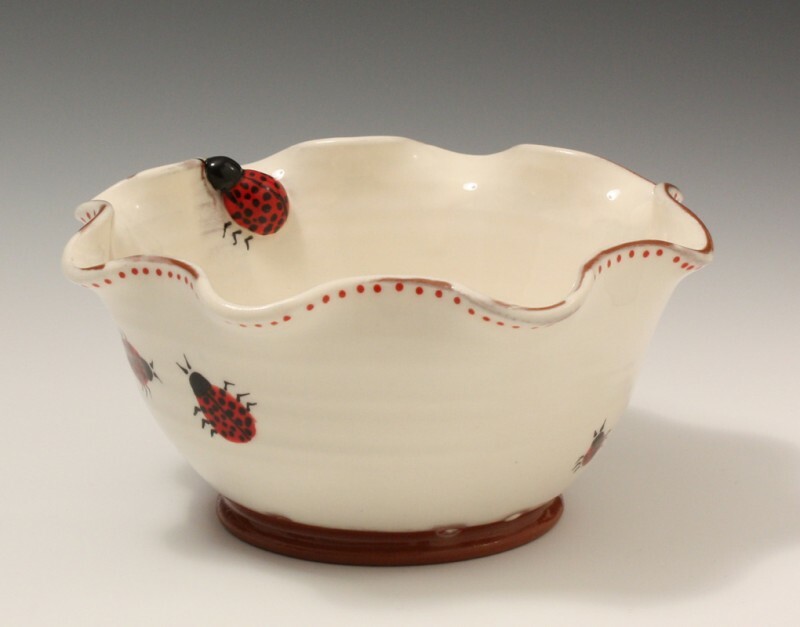 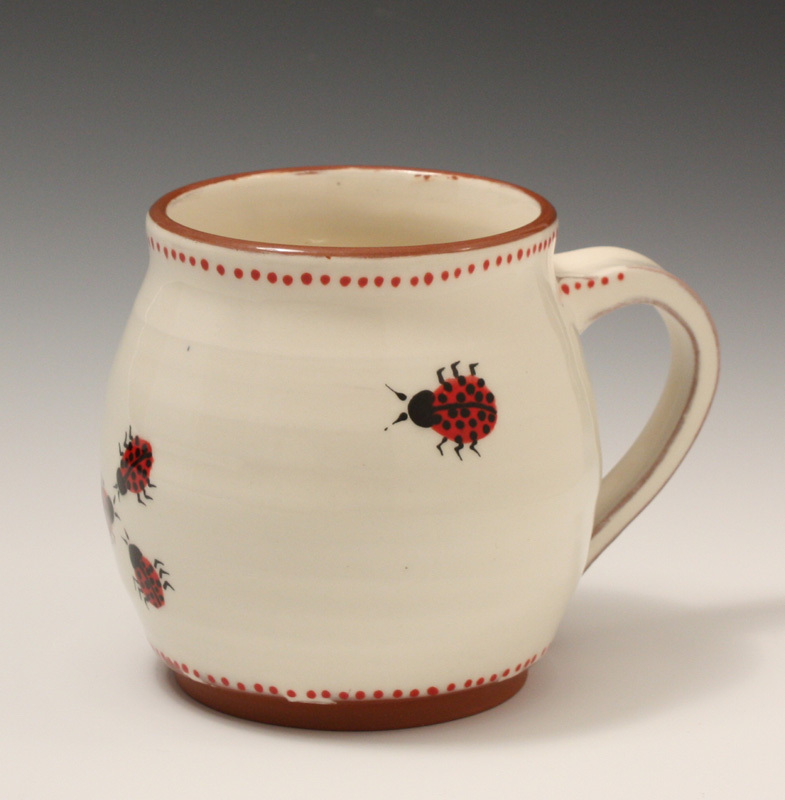 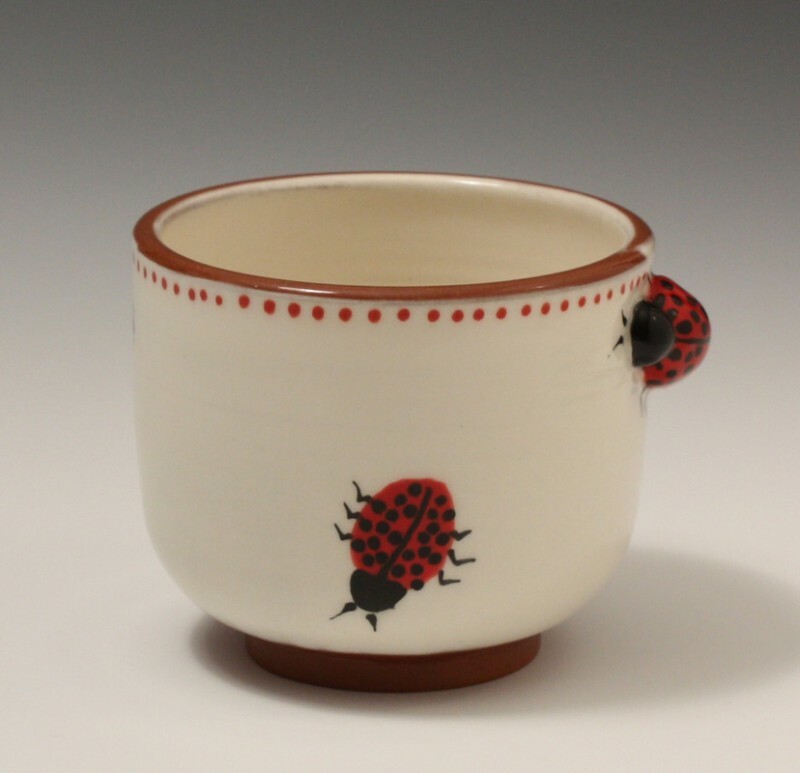 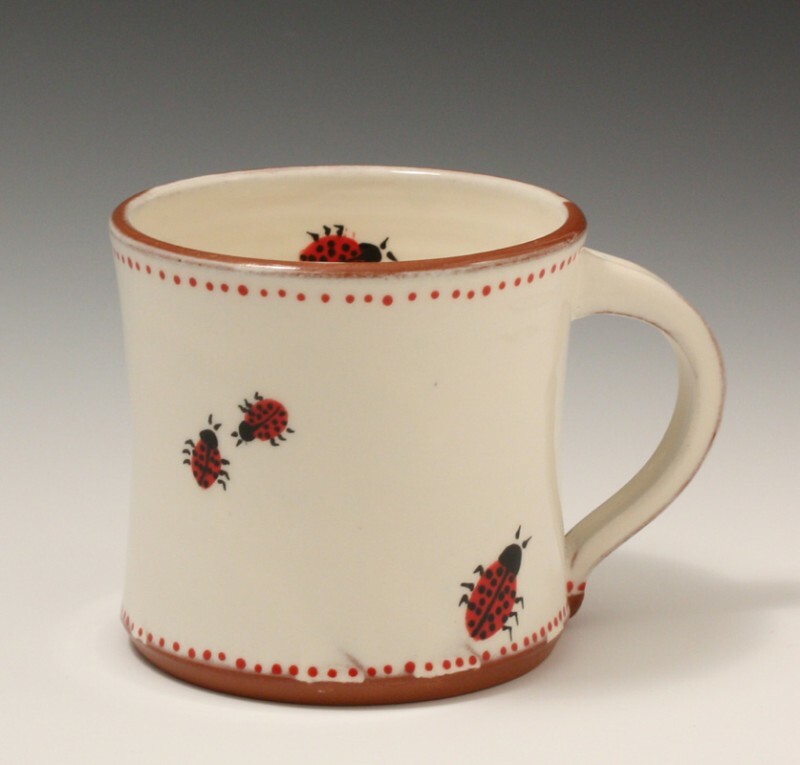 Whenever I see the pots come out of the kiln with these ladybugs I remember her laugh and her smile.